In our discussions on the doctrines of the atonement, the theories of the atonement, how does the death of Christ save us? We have followed it through from the beginning of our first introduction to Calvary in the Bible, in the New Testament, through the centuries and the centuries; and we have come now to this last century, the nineteenth century. And we are taking two men, and we are going to study tonight The Theory of Atonement, according to, first, McLeod Campbell. He was a Scotsman, this McLeod Campbell; he was born in 1800, and he died in 1872. He was recognized as one of the intellectual leaders of Scotland and was noted for his fine personal Christian qualities. He was put out of the Church of Scotland, the Presbyterian Church, because of his ideas on atonement. However, if he lived today, the church would receive him and would reject the ideas they had when they rejected and ejected him. He preached an unlimited atonement; not one restricted to the elect. That Calvinistic doctrine of a limited atonement means that Christ died just for the elect, not for the whole world, but just for those who would receive Him and be saved by Him. But this man McLeod Campbell preached an unlimited atonement: He died for the whole world; whether a man received Him or not, nevertheless Christ died for him. And in consequence of his presentation of that view of an unlimited atonement, he was tried for heresy and was deposed by the general assembly of the Church of Scotland in 1831. Thereafter he was pastor of an independent congregation in Glasgow. The theory of McLeod Campbell is primarily a protest against rigid Calvinism. First, he taught that atonement is grounded in the love of God. This love is the cause and not the effect of the death of Christ. For example, in contradistinction to Jonathan Edwards, who had been saying that God is preeminently just, and merely and incidentally loving, Campbell would turn that around and say God is first and primarily and preeminently loving, and then after that He is just. McLeod Campbell would say in his theory of atonement that sin requires punishment, but not because God requires it. God demands repentance, not punishment. It is sin that requires punishment, not God. He said Christ represents God to man in announcing God’s condemnation of sin, an act of loving consideration. I have copied here a famous sentence of this Scot preacher, quote, "It was the spiritual essence and nature of the sufferings of Christ, and not that these sufferings were penal, which constituted their value as entering into the atonement made by the Son of God when He put away sin by a sacrifice of Himself." Now if I could put that in my own words: this man McLeod Campbell is saying that the efficacy, the meaning, the power of the atonement of our Lord, the death of our Lord, is not that He suffered for our sins as a criminal suffers for sin, that He took upon Himself our sins and suffered for them; but that the value of the atonement is to be found in the essence and nature of Christ Himself. He didn’t take our sins to suffer for them penally; but the efficacy and power of the atonement lies in the nature of our Lord, and the kind of sufferings that He endured. Again, Campbell says that Christ represents man to God in "expiatory confession of sin." That is a somewhat meaningless phrase: "Christ represents man’s repentance before God." The theory that he is espousing is a representative theory: God to man and man to God. As for actual substitution, penal suffering, that is not in the mind of McLeod Campbell. Now, we will look at the theory critically. First, some of it is just rhetoric; it’s words that are not vital in meaning. For example, what would the phrase "expiatory confession of sin" mean? It’s mostly just verbiage. And again, he does not adequately account for the sufferings of Christ. Because of Campbell’s extreme dislike for the penal theory, he was driven to an opposite extreme. In his mind, it was impossible that Christ actually suffered for our sins, the penal theory – He took our sins, and He suffered for them – he could not receive that at all. So, in his dislike for it and in the pendulum swing against it, why, he espoused the doctrine that what you have in the death of Christ is a marvelous representation of the love of God, and sin is the one that punishes; there is nothing in God that requires it. We turn now to the theory of atonement according to Horace Bushnell. Bushnell was born in Connecticut in 1802, and he died in Connecticut in 1876. He was a Congregationalist pastor. He was a graduate of Yale University in journalism; and he returned to Yale to study law. During his two years of law study at Yale, he was converted, and transferred from the law school at Yale to the divinity school at Yale and was graduated from the divinity school in 1833. He was pastor for years of the North Church in Hartford, Connecticut. Many of Horace Bushnell’s sermons are unsurpassed in insight, feeling, imagination, noble thought, and splendor of diction, yet by his own generation, he was generally looked upon as a heretic. There was demand for his condemnation throughout Congregationalist orthodox churches. He has a vast influence on American Christianity. He strongly believed in the Christian training of children as the law of growth of the church. And in that, I increasingly concur. I think that to take our people in evangelistic outreach and services and just that be the program of the church is, of all things, most tragic. I see that in so many, many areas of modern American church life. For example, when I went to the church of Aimee Semple McPherson in Los Angeles, the charismatic, tongue-speaking, faith-healing church of great fame in the last generation, I found that the leaders of the church were Southern Baptists. I use that as a typical example of churches all over the nation. Many, many, many of the people in them and many of the leaders in them are Southern Baptist people. Well, how did they ever get into theological orbits like that? Well, the reason is, they grew up in an environment surcharged with the thought that one church is just as good as another, one doctrine is just as good as another. Just as long as a man pays his debts and doesn’t kill anybody or doesn’t rob a bank, why, everything is just fine. They are not taught in the faith; they are not given to an understanding of the faith, so they just fall for any kind of wind and doctrine that blows. That’s why people ought to be taught; they ought to know the faith, the doctrines of the faith. "Doctrine" is a Latin word for "teaching." They ought to know the teaching of the faith. And I pray God through the years and the years that will unfold before us, I pray God that there will be an increasing depth in our understanding of the great things of Jesus and of the Holy Scriptures. I pray that our Bible Institute will make that contribution to us, and making it to us will be able to make it to thousands of other pastors and deacons and laywomen and churches. Well anyway, that was one of the great tenets of Horace Bushnell. Do you ever wonder how it is that the Jewish faith lives, lived? 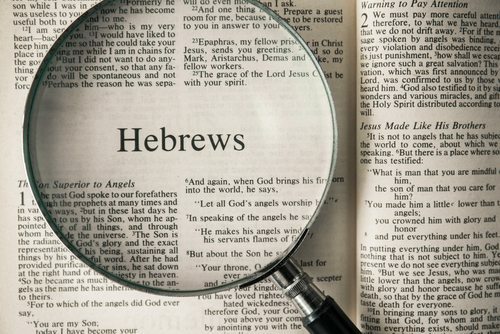 Do you ever wonder how, when maybe the synagogue was proscribed, interdicted, couldn’t have a synagogue, couldn’t have any kind of an outward observance of Jewish religion, certainly didn’t have a homeland, yet for thousands of years buried, as the Bible would say in Ezekiel 37, buried in a grave among the nations of the world," how do they do that? How do they live? No synagogue, no rabbi, all their observances, religious habits interdicted by law, outlawed; how do they continue? Well, the answer is a very simple thing: all of those things of the Jewish faith and religion were taught the child, and taught the child, and taught the child, and taught the child, and taught the child. No other thing did the child know than the things of the Jewish faith and the Jewish tradition and the Jewish religion. And whatever it was on the outside, on the inside the child was brought up in those great instructional mandates found in the Torah. Now, that continues today. All you have to do is to visit one of these rabbis, go to the synagogue service on Friday evening, and tarry and talk to him, and you just ask him what they do in the Jewish home: every one of them, just alike, teaching, teaching, teaching. That’s what we ought to do, and of course we have an infinitely better opportunity because we have freedom in our country where we can assemble as congregations, sit down in Sunday school classes, gather in Bible study groups; oh, the infinite open door God has set before us! And we ought to take advantage of it. And I praise God in His grace that we have our First Baptist Church School; taking these fine children and every day teaching them the Word of God. And of course, as I say, our Institute, to teach our teachers, our leaders an in-depth study of God’s illimitable, immeasurable, unfathomable, meaningful, significant revelation. Now another thing about Horace Bushnell: he believed in Christian experience, not just Christian metaphysics, Christian philosophy, Christian speculation, Christian scholasticism. He was an empiricist, a pragmatist, a pragmatist: he believed in Christian experience. He placed supreme emphasis upon ethical and religious values, not upon metaphysics. For example, if Horace Bushnell were up here preaching to you upon some great, glorious occasion, why, he would say to you, "It is not the speculations of the faith; it is the living of the faith, the experience of the faith. It’s what we know in Christ that is meaningful for us and gives religious value to our devotion to God." You couldn’t help but like those things. Now, his moral view of the atonement was grounded in principles of universal obligation and universal vicariousness. He thought of God as propitiating Himself in the forgiveness of sinners. This is set forth in his two great volumes on the atonement called Vicarious Sacrifice; they are two of the greatest theological volumes ever written. He believed that the suffering of Christ is the earthly counterpart and manifestation of the age long suffering caused by human sin to a God of love. He would say that the cross is just a demonstration of the pain in God’s heart from the beginning of the world over man’s sin. So let’s look at that theory of the atonement of Horace Bushnell. Number one: he rejected all satisfaction theories. God did not need to be reconciled to man, for He loves man and seeks to bestow His forgiveness upon him; there’s nothing in God that had to be changed or reconciled. God loves man, and always is seeking him. Number two: Bushnell would say Christ’s offering is not from one person in the Godhead to another, for that would involve tri-theism instead of Trinity. Tri-theism is three gods; Trinity is three persons in one God. This tri-theism is a fundamental weakness of all satisfaction theories, according to Bushnell; when Christ is doing what He does in order to propitiate an angry God, a satisfaction theory. Number three: Bushnell would say that Christ’s suffering was not to set up superlative merit, not supererogatory grace; he would say that merit is merit, grace is grace, truth is truth, and there is no superlative. There is nothing in Christ’s death that gave merit for us; there’s no such thing as supererogatory merit, somebody doing something good and you get the credit for it. Number four: there is no progress, Bushnell would say, in God. There is progression only in His methods of saving men. Number five: he would say Christ is not mediator or intercessor in the sense of mediating between an angry God and sinful man; for that also would involve tri-theism. Number six: Bushnell would say that Christ’s death is a propitiation only in the sense that He propitiates Himself. There’s nothing in God different yesterday or any other time, and the death of Christ did not do anything in God. Well, another main caption now. Bushnell would say that the atonement is the expression of God’s suffering love for men. First, the meaning of "vicarious suffering" in the mind of Bushnell; number one: it is not that Christ merely puts Himself into the place of a man as a helper, it is not that Christ merely undertakes to influence man, it is not that Christ simply comes under the common lot and liabilities of man, it is not that Christ assumes the penal retributions due to man; but the suffering of Christ, Bushnell would say, is vicarious in that He comes in the place of man, and it is a sacrifice in that it is an offering of Himself, even as if He made an offering for His own sin. He would say that love is essentially vicarious in its own nature; and when God in Christ died as an expression of His love for us, He was doing what essentially is the nature of love. He illustrated that with a verse in Matthew 8:17, "Himself took our infirmities, and bare our sicknesses." Bushnell would say the death of Christ exhibits the love of God the Father that is eternal; the God of the Old Testament and the God of the New Testament is one and the same God, a God of love. And he would say that the vicarious love of God can but be appreciated, can best be appreciated if seen from the best expression of it in a man’s life. And he illustrates that with a mother’s love for a child. The mother will suffer for the child, will give her life for the child, will struggle for the child, will forgive the child, will just pour her life out for the sake of the child. Now he says that is what God did for us in the death of Christ: it is a vicarious thing that Christ did, just like a mother will give her life for a child. He illustrates it again in a patriot’s love for his country. This is a vicarious sacrifice that a soldier would make for the protection of his homeland. Now that’s what he says Christ did for us. And the end to be accomplished was forgiveness, which carries with it a great cost. Now we’re going to criticize the Horace Bushnell theory of atonement. It has been objected that his view involves the conception of suffering in God, patripassianism, patripassianism. Boy, to put all those syllables in that. Patripassianism; "This," the objector states, "involves imperfection in God, and therefore God cannot suffer." What do you think about that? Do you think God could suffer? Could God suffer? Now that’s Horace Bushnell’s theory, that God can suffer, and that God has suffered from the beginning over man’s sin; it hurts God, and God feels it, and the atonement of Christ, the death of Christ is but a dramatization of the hurt in God’s heart that God has always felt since man fell and gives himself to unrighteousness and iniquity. Well, I know you’d think, "Well, pastor, what do you think about it? Can God suffer? Does that involve imperfection in God, that God could suffer?" How many of you think that God could suffer, that up there in heaven where God lives and He looks down upon us sinful men, that it hurts God’s heart, what He sees down here? How many of you think that God could suffer? Well, that’d just be about all of us, wouldn’t it? Well, I concur in that. I think that the perfection of God does not preclude His being hurt and grieve at our sin. Now to me a very plain and simple illustration of that would be, "Grieve not the Holy Spirit of God" [Ephesians 4:30]. Well, the Holy Spirit is God; and if the Holy Spirit is grieved, God can be grieved. And I think that He can. All right, another objection about Bushnell’s theory: Bushnell says the merit of Christ was not superlative. But the merit of Christ would have to be superlative: if Christ was not deserving of punishment, then any suffering on His part must have been superlative; that is, over and beyond what Christ Himself was obligated to do. He didn’t have to die for His sins; He never did sin [2 Corinthians 5:21]. He didn’t have to die at all; He could have stayed up there in glory and not come down here in this world [Hebrews 10:4-18]. So when you say that Christ was sinless and that He came down into this world and died, there must be something over and beyond Christ’s death that means something for us, that does something for us. That’s what you mean by "supererogatory merit," grace: Christ did for us what He didn’t have to do, therefore there is something over and beyond in Christ’s death that is finally laid to our account; we are the blessed recipients of it [1 Corinthians 15:3]. All right, a criticism of Bushnell: "Bushnell transfers the atonement from the cross to the throne of heaven. This reduces the death of Christ to a dramatic display. There must have been a moral necessity for the death of Christ." Now I think that criticism is valid. There is something far more to the death of Christ than just an exhibit of God’s love for us or God’s hurt for us. There is a depth to the meaning of Christ’s sufferings that are far beyond just looking at a dramatic event in the story of the human race. Another criticism of the Bushnellian theory is that it is too anthropomorphic. "It is not enough to say that God’s love for man is a vicarious love, as a mother for a child, or as a patriot for his country; there is something deeper than that in the atonement." And I think that criticism is also valid. There is something in Christ’s death and in the necessity of Christ’s death that goes far beyond what you would see in a mother loving her child, or a soldier laying down his life for his country. By no means have you exhausted the meaning of the death of Christ when you see in it the love of God for us. Now there’s no doubt but that the cross is a demonstration of the love of God for us. How much does God love us? Just look at Jesus dying for us on the cross [John 3:16; Romans 5:8]. But that doesn’t begin to exhaust the meaning of the death of our Lord; there is something far over, beyond. Now, a last criticism of Bushnell, a last word concerning Bushnell’s theory in atonement: "Bushnell’s chief contribution was to carry the atonement over into Christian experience. Having described it as a originating in the heart of God, he sought to find its repercussion in us, in our hearts, in our lives, and in our Christian experience. And in that he has done a marvelous thing for the Christian faith." Could I discuss that for just a moment? However the man in the pulpit may be doctrinally correct, or however the man may speak of atonement, whatever theory of the meaning of the death of Christ that he might embrace, if it is just language, or rhetoric, or speculation, or metaphysics, or philosophy, or theology, if it remains just that, according to Bushnell it has no value and no meaning. For a theory of the atonement to have value and meaning, it must find a repercussion in us. There must be a response in us to it. Well, when I think of the death of Christ, there are many responses, many repercussions to the death of Christ that come into my heart and mind. This is one: when you look at the death of our Lord, it does something to a sensitive man, to a man who is guided and convicted by the Holy Spirit; it does something to the man to think that, "This is what my sins do to God. This is what my sins did to Christ." Look, I remember asking some brothers – they were fine, noble men, wonderful Christian men – I asked them how it was that they became Christians. Now these are men who lived in the days of the frontier of Texas. They said to me that on Saturday night they would put their six shooters around them, they’d put a flask of whiskey in their back pocket, and go to the dance; every Saturday night. And one of their number was killed. The youth that killed him, when he talked to me one time, was now an older man. And out of the blue of the sky – I knew nothing about this – out of the blue of the sky, seated with him on the front porch, just visiting with him before we ate dinner, he turned to me suddenly, and said, "Pastor," I was pastor of the little church to which he belonged, "would God forgive a man who killed his best friend?" Well, I was dumbfounded by the question. "Would God forgive a man who killed his best friend?" I found out as time went on that what happened was he was one of those young men who put his, fastened his, buckled his six shooter around him, put the flask of whiskey in his pocket, went to the dance; got drunk, in an altercation pulled out his gun and shot his best friend, killed his best friend. Well anyway, that was what those young men were doing. So the mother in the family of these several boys who were such marvelous Christians, the mother in the family, every time those boys dressed, took their whiskey and their six shooters, saddled their horses, and rode away, the mother would go to a little clump of trees hard by the corral fence and get on her knees and pray there until those boys came back in the wee hours of the morning. Every Saturday night when those boys would dress and ride off, she’d go to her place of prayer in that little clump of trees and there pray until the boys came back. And they said to me, "When we’d come back, unsaddle our horses, put them up, walk by the corral fence to go to the house, there they’d hear their old mother praying." Well, for a while, they were just brave as they could be, you know, just walk by and go to the house and undress and go to bed. But they said to me, "It got heavier and heavier and heavier, coming back in the wee hours of the morning and walk by and listen to that old mother praying." And they said to me, "The day came when we could not do it any longer. It was impossible for us to do it." And so one of them went over there, and picked up the mother, lifted her off of her knees, and said, "Mother, we can’t do this; just can’t." And he said they went inside the house, and the mother that night won all of her boys to Jesus, every one of them. Isn’t that a wonderful testimony? That’s just marvelous. Well, that is an exact illustration of one thing that the cross does to a man who will look at it. How do you pass it by, and pass it by, and pass it by, and not finally come to the place where you pause, "What is this? What is the meaning of this? What has Christ done?" And the Holy Spirit will press the meaning to your heart [John 16:7-15]. This is what sin does to God. This is what sin does; it brings death, and blood, and suffering, and tears, and agony, and everything that disintegrates and dissolves; the thread, the golden thread that binds together human life. Well, that is getting down to us now; that’s the atonement in human experience. Let’s take just one other, and I must quit; our time is gone. The cross in human experience, bringing it out of metaphysics and out of philosophy, out of theology, and bringing it down into our human life, not only that, the conviction that comes to us, "This is what God suffers, hurts, crucified for what I’ve done. Doesn’t matter what anybody else has done, this is what I’ve done; my sins have pressed on His brow the crown of thorns, and my sins have nailed Him to the cross. Not Pilate or the Jews or the Roman soldiers, but I; this is what I have done." All right, another experiential response to the cross: how is it that God could love me enough that He takes the penalty? You see, I believe there is more to the death of Christ than just an exhibition, a dramatization of the love of God. I think Christ bore our sins; I think He did [1 Peter 2:24]. I think He suffered for our sins [1 Peter 3:18]. I think there is an absolute substitution made there. I should be there on that cross, suffering eternally. But He substituted Himself for me, and He suffered for my sins. He died for me in my stead [Hebrews 10:5-14]. Paige has his Greek New Testament there that he reads all the time. That word h-u-p-e-r, huper, literally means "instead of, substituted for": "Christ died huper our sins" [1 Corinthians 15:3]; instead of us, for us. Now, the cross is getting down into human experience when a man sees that Christ has died for him. My hope of heaven is Jesus. My hope of forgiveness is Jesus. I won’t have to go to hell, I won’t have to be damned, I won’t have to stand in the judgment day of the white throne, I won’t have to be condemned [Revelation 20:11-15]. I am saved. I am forgiven. I am free. I am pardoned. He paid the penalty. He paid the debt [Isaiah 53:4-5]. O glory to His name! And that’s why, as you’ve heard me say so many times in the pulpit, that’s why I like hymns of praise; not singing about us, but singing about God. O glory to God! Look what Jesus did for us. "Worthy is the Lamb that was slain, to receive riches, and power, and dominion [Revelation 5:12]; for He hath redeemed us by His blood, out of every family and tribe and nation under the sun" [Revelation 5:9]. O bless His name! He has saved us, died for us [1 Corinthians 15:3]. Now I’m saying to you that when you take the atonement, the death of Christ, and take it out of theology and speculation and metaphysics, and bring it down into human life, I think you’re preaching the gospel. I think you’re giving yourself to the true meaning of the Word of the Lord. There’s just hardly anything that is more moving to the human heart than when a man spiritually, in the power of the Spirit, holds up the cross of Christ, and we see Jesus who died for our sins. Well, God love us, and bless us, and keep us, and save us, and wash us, and write our names in the Book of Life [Revelation 20:12, 15, 21:27], and forgive us, and sustain us, and someday present us without fault in the presence of the great, great Glory [Jude 24]. Now we have one other summation from me. What I’m going to do, as Paige has suggested, I’m going to go through the whole two thousand years of the study of the atonement, on the part of these men of God, and I’m going to try to put together all of the things that I think pertain to the truth of a full, rich doctrine of the atonement, the meaning of the death of our Lord.